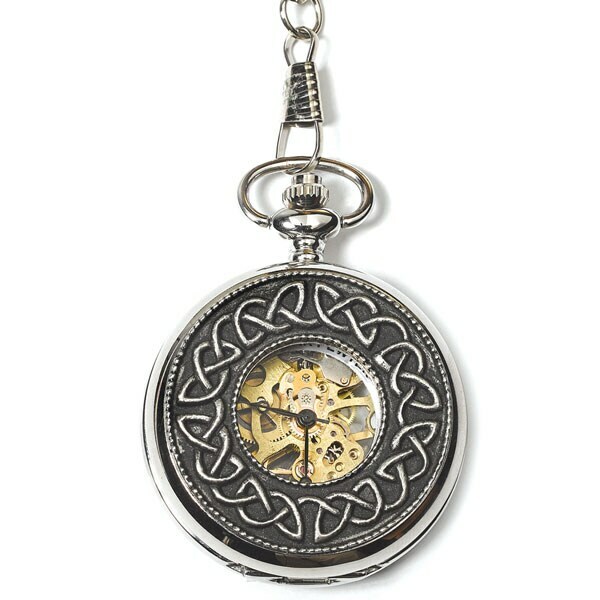 A cast pewter bezel with raised Celtic knots encircles a small glass window that reveals the mechanical workings. 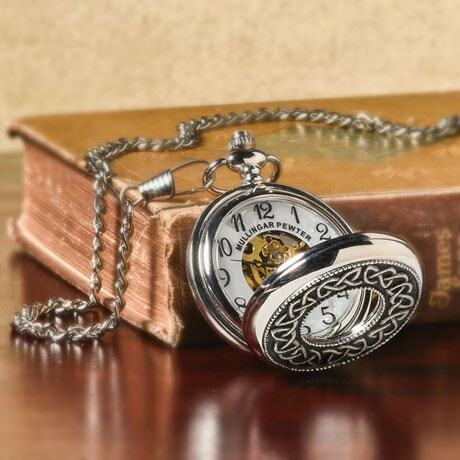 Made in Ireland, traditional pocket watch comes on a polished metal chain that secures to a belt loop or waistcoat. To keep it running, wind every 24 hours. Gift boxed.